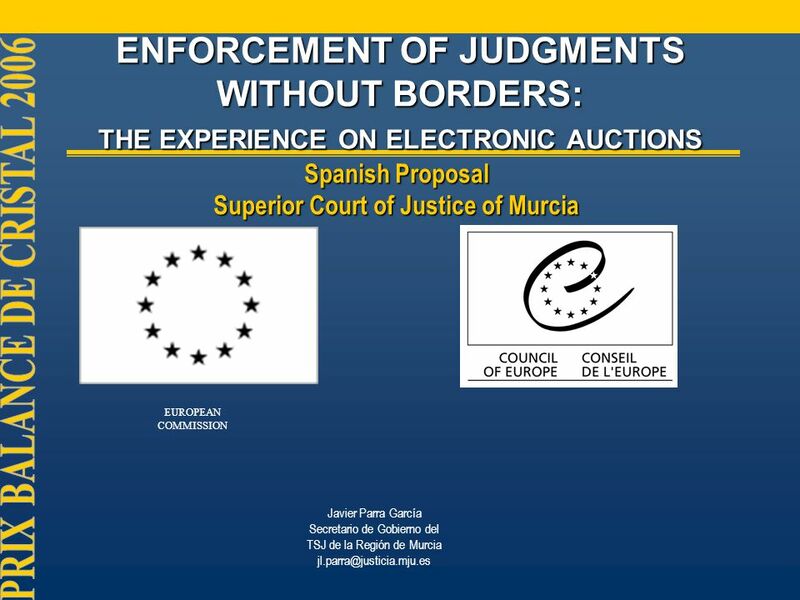 ENFORCEMENT OF JUDGMENTS WITHOUT BORDERS: THE EXPERIENCE ON ELECTRONIC AUCTIONS Spanish Proposal Superior Court of Justice of Murcia Javier Parra García. 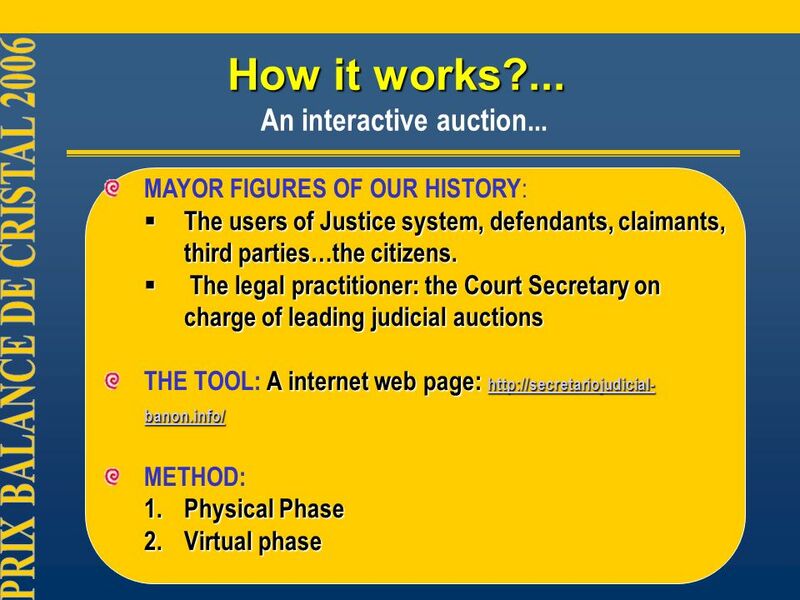 Download ppt "ENFORCEMENT OF JUDGMENTS WITHOUT BORDERS: THE EXPERIENCE ON ELECTRONIC AUCTIONS Spanish Proposal Superior Court of Justice of Murcia Javier Parra García." COMMON QUALITY ASSURANCE FRAMEWORK (CQAF) IN VET. Recognition of qualifications from joint programmes The good, the not so good and the unacceptable. Contents Who is behind MIPEX Objectives Production and Producers MIPEX is a tool among others Underpinning framework Relevance Presentation and Users. New challenges for legal practitioners in cross-border succession matters Claire-Agnès Marnier DG Justice. The European Small Claims Procedure and other EU Instruments: Why is it useful to choose the European Small Claims Procedure? Elena DAlessandro University. Belgian Building Research Institute – Performance Indicators for Health, Comfort and Safety of the Indoor Environment Some first conclusions. THE COUNCIL OF EUROPE and the Information Society Council of Europe Summit (May 2005), Action Plan on e-democracy: "We will also take initiatives so that. 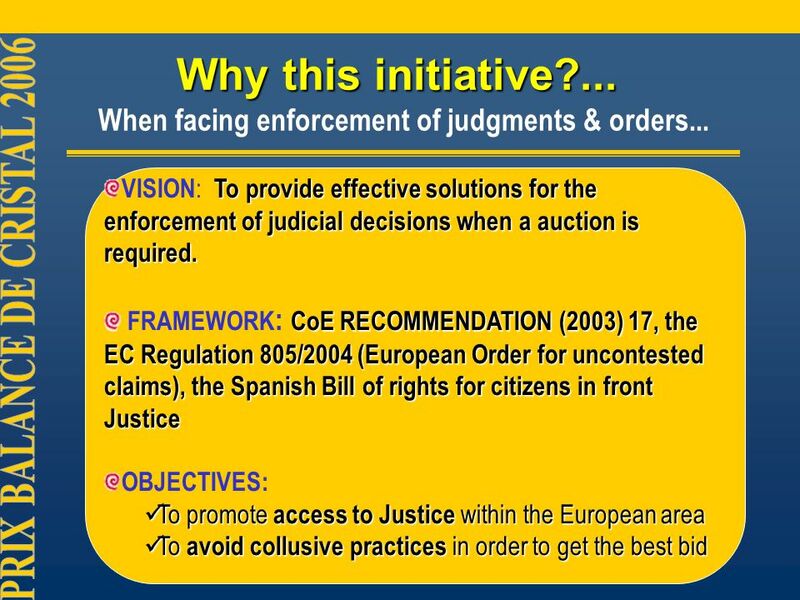 European e- Justice « Justice at a click ». 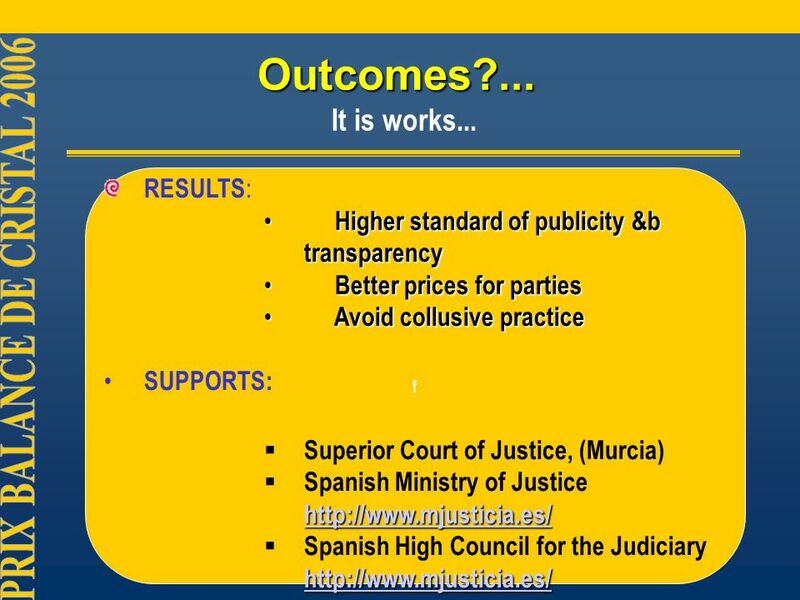 Agenda  Introduction  European e-Justice  European e-Justice Portal  Interconnection Projects  Challenges. MINISTRY OF FINANCE, FINLAND Helsinki Budget Department / Markus Sovala1 Pricing public information in Finland Markus Sovala Deputy Head of Budget. ROMANIA MINISTRY OF JUSTICE NATIONAL TRADE REGISTER OFFICE CROSS-BORDER INSOLVENCY. Financial Services and Consumer redress Unit DG SANCO The Commission‘s initiative on Collective Redress. Electronic System for Government Procurement December, 2004. Honduras: A Case Study Marcela del Mar Suazo, Minister of Women’s Affairs, Honduras The Development Implications of Gender-Based Violence World Bank Workshop.